Man of the moment Virat Kohli has lashed out at people who have trolled his former girlfriend and actor Anushka Sharma on social media after he powered India into the World T20 semi-finals last night. “She has only given me positivity,” an angry Virat said in posts on Twitter and Instagram that have gone viral. His tweet was retweeted 10,000 times in the first hour. The Instagram post, with a picture of the word “SHAME” in capital letters written across a wall, had been liked over 50,000 times in the first half hour of Kohli posting it. 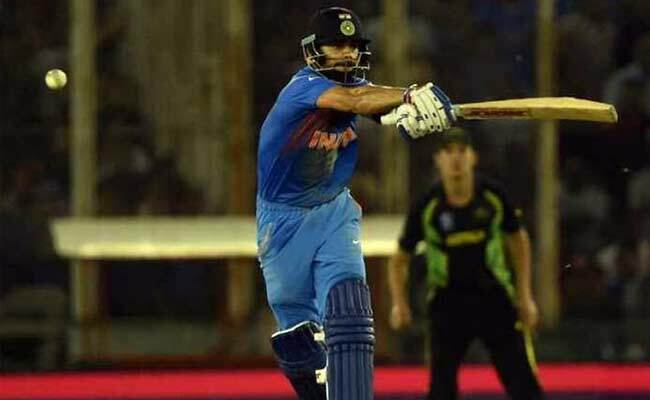 Virat Kohli is currently the toast of the country for his masterly and match-wining innings of 82 not out in the World T20 shootout against Australia on Sunday. But several people also trolled Anushka Sharma with comments alluding to her split with Virat. When they were together, Anushka was trolled every time Virat Kohli performed poorly on the field. Virat and Anushka were rumoured to have split earlier this year after dating for three years. There has been no public acknowledgement of the split, but much was read into Virat’s Instagram post in February when he posted picture of himself with the caption “Heartbroken.” He had later deleted the post and reposted the photo. Virat had unfollowed Anushka on both Instagram and Twitter, but Anushka still follows him. Mastizaade – Sikka Hila To Pass!